Sculpture work is made up of two identical sculptures of different size – one and three meters in height – along with ten meters of seating space in between. 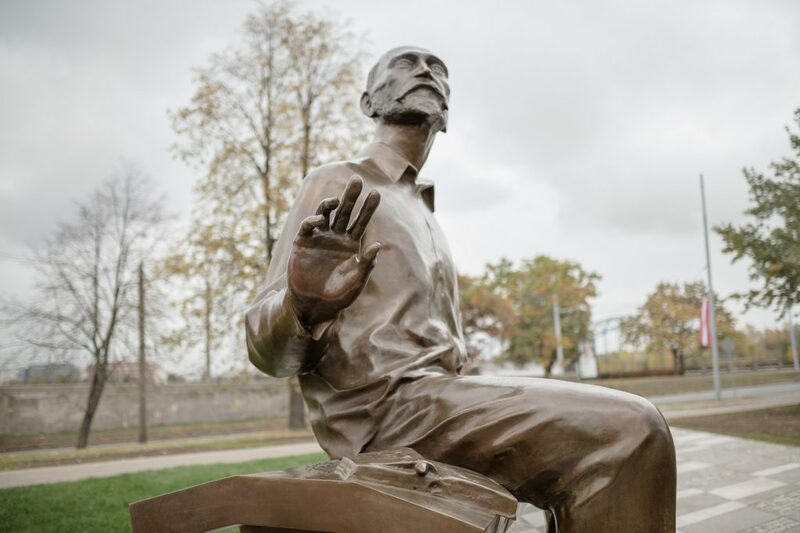 The character depicted in sculptures represents the same person Rainis, a renown Latvian poet, playwright, translator and politician – an enthusiast in strengthening Latvian identity. The work points to the transformation that education and individual growth brings while the seating space in between emphasizes this process as an upward straight lane – growth in time and space. 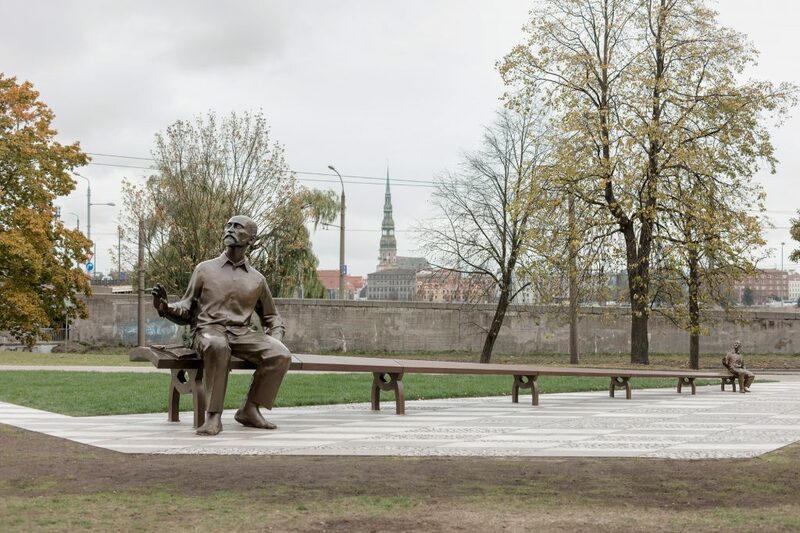 The artwork was produced with the support of the Fund “Art Needs Space” , the Zuzāns family, Guntis Rāvis and cooperation with the Latvian National library.